Interest in Millennial trends and tendencies has pervaded our discourse in business, education and now politics. 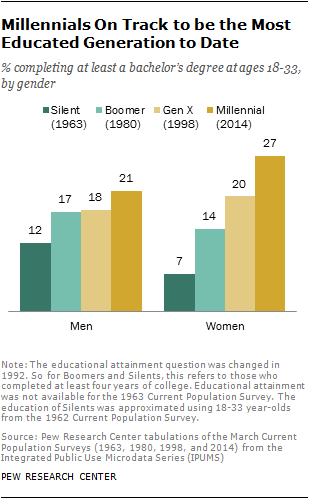 By now, we’ve seen data and surveys about who Millennials are and how they act. 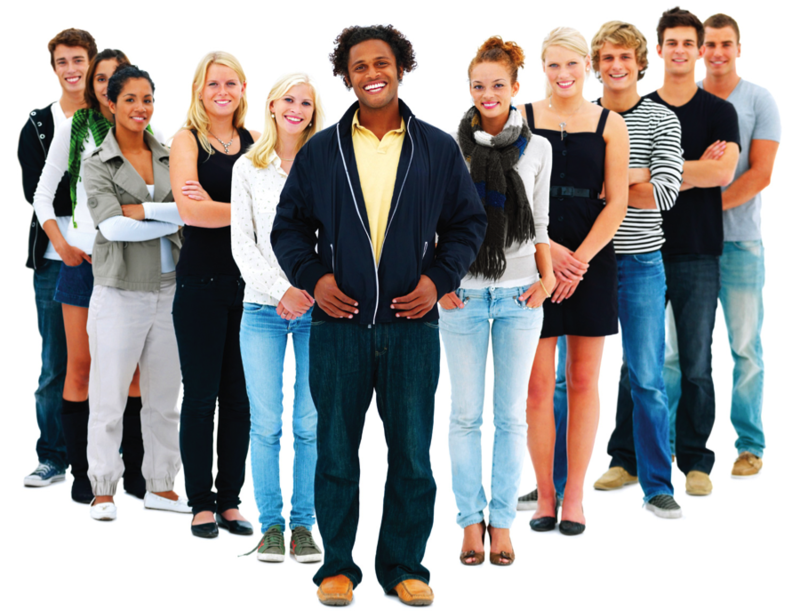 Let’s begin by defining the Millennial generation at about 92 million born between 1982 and 2000. Given the pace of change they’ve experienced – unlike any generation before – I suggest two subsets for this generation: Early Millennial from 1982 to 1993 and late Millennial from 1994 to 2000. These subsets account for the range of change or volatility experienced by this single generation. This subset (1982 to 1993), Early Millennials, or EAMS, came into a computerized era of predictable change as normal. Companies that laid that groundwork for the launch of an online, networked world include Apple, Cisco, IBM, and Microsoft. Ranging in age from 23 to 34, EAMS internalized Moore’s Law expecting change at a pace of every 18-24 months. The meme for EAMS is “reboot.” For them failure is normal, and in the face of failure, they simply reboot faster. The computer is part of their muscle memory. This shift between EAMS and Late Millennials begins with the Internet entering the public domain in 1993, which hit a tipping point by 1997. This subset (1994 to 2000), Late Millennials, or LAMS, came into the Internet Age, a digitized, networked, connected world. While LAMS are digital natives, it became second-nature to EAMS. LAMS experience unpredictable change, change beyond incremental or related to the past. Leading companies laying the ground for an era of “e-commerce” include AOL, Google, Amazon, Facebook, Snapchat. Ranging in age from 16 to 22, LAMS grew to expect uncertainty, unpredictability, and volatility. They are more apt to ask “Why Not?” from a future that is inconceivable to others. The best meme for this subset is “hashtag,” or “selfie” as they integrate online reality into actual experiences. For LAMS the only reason for a computer (or later smartphone) is to get online. These two subsets share remarkable experiences. My own story begins with colleagues belonging to the EAMS subset, and then college-aged students of the LAMS subset. While they arrived on the scene at different points, and while I can relate to each subset differently, together, they are distinct from Generation X (1964-82) or Baby Boomers (1946-64) in a fundamental way that is largely ignored. They’ve internalized a distinct relationship to change. Unlike Boomer’s whose experienced cultural and social disruption through a domestic lens, Millennials have experienced complete disruption of a social, cultural, institutional, commercial, workplace, and economic transformation, through a domestic and global lens. For Millennials, “meta-change” is the goo from which they emerged and metabolized a different worldview that shapes their thinking, aspirations, and expectations about the past and future. This is beyond our ordinary frame of the “younger generation,” or beyond a different language. It is more akin to an alien species from another world. The changes are not even about Millennials; it’s about the world they represent in human form. That world can be obscured in surveys and data on behavior, which do not reveal the pace of drastic changes never before experienced in a single generation – and how it has altered what it means to be human at the cellular level. My intention is to better understand the Millennial worldview beyond their behavior or buying patterns. I am interested in the nature of change as it has manifested in this single generation. Bridging this gap can teach us about our future – if we are willing to learn. Much research has pointed to some of the downside of this generation, such as reduced attention spans, multitasking, scanning and skimming versus reading and reviewing material, and connectivity without conversation. While some may be valid, some conclusions may be shaped by expectations from our worldview. Instead of a glut statistics and polls, which I’ve poured over, I offer broad themes that point to a distinct Millennial Mindset. In examining this data and research for years, teaching Millennials in business (leadership), and as a gay man navigating areas of society populated by this generation, the data only reveals part of the story. I offer five frames as the contours of this worldview as a mindset. 1 – Entitled vs. Empowered. A chief complaint about Millennials (more LAMS than EAMS) is they seem entitled. When drilling down, I found something quite refreshing. Many in this generation may not know what they want, but they are clear to express what they do not want. They dismiss loyalty bonds with companies or institutions. Reboot and Hashtag are about job-hopping, trying different tasks, blending careers, and cobbling together a path — not a predictable march but more like a free-flowing dance. Millennials can also be challenging: they request work hours, set different (more balanced) priorities, and will negotiate requests rather than conform to demands. They are not afraid to express themselves. This group has multiple modes of self-expression. They are fully self-expressed, push-back, negotiate, and feel free to question everything. This can be unnerving to those from previous generations with a pay-your-dues ethos. Millennials are delighted to work hard, but managers be prepared for many questions and many ideas. This comes from their connectivity, facility with information, and openness to change. They want to be heard, which may seem like “entitled.” I see it as empowered. This generation enjoys a different flavor of “support”: they want to be empowered, not rescued; challenged, not controlled; and prefer urgency, not excuses. 2 – Knowing (certainty) vs. Learning (unknown). Related to the previous distinction, Millennials question everything. Often misunderstood as complacent because they are unwilling to conform, pay their dues, or to put in time – accumulating seniority – as did previous generations. This old trope stems from a stable and orderly worldview that incentivized career ladders as rational from a time when knowledge was fixed and stable. We went to college, learned what we had to, and waited our turn. And we expect the same from the next generation. Today, knowledge has a half-life of 5-7 years with technical knowledge at 18 months. This generation doesn’t relate to work as stable and knowledge as predictable. They embrace lifelong professional development — always-on learning — and own it as their primary responsibility. Not invested in loyalty bonds to “life employment,” Millennials are less willing to play corporate politics. Generally speaking, this generation expects to navigate many careers and to learn and grow in each one. They’d rather operate with real-time feedback than concealing expectations for political purposes. Indeed, they appreciate previous generations as mentors to learn from, not bosses to obey. Their work-view is an extension of their worldview: anytime access and connectivity, willing to absorb information, engage continuous learning, embrace breakthrough changes, and leverage their networks to make a difference now. They dismiss safe and cautious and are moved by urgent, bold, and different. This generation demands radical change, and would rather risk new ideas, fail, learn, and try again, than manage or repackage warmed-over ideas from a world that no longer exists. 3 – Transforming (risk) vs. Conforming (cautious). Millennials have experienced the unraveling of once stable institutions: marriage has evolved; families are mixed; media is distributed across new platforms; and, business models have disrupted social, cultural and economic norms. Having experienced massive breakdowns in finances and banking, government and public policy, and education and energy, Millennials have a general distrust of authority (authoritarians); yet respect clear and transparent leadership. These experiences find them both risk-averse with their finances while embracing risk in a naturally change-centric life. This generation has experienced evolving social norms concerning social, economic, criminal, and racial justice, all before graduating college. For them, discrimination is corrosive to human interaction. 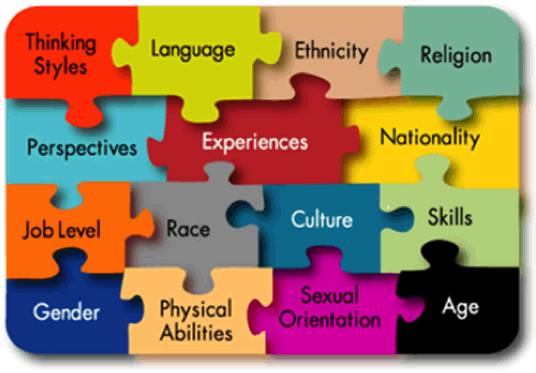 They herald inclusion, and do not fear change, pluralism, or “others.” And have gained access to culturally rich and diverse ideas, viewpoints, religions, cultures and societies – critical to enhancing participation and collaboration from multiple experiences and views. This inclusion extends to the diverse and disenfranchised beyond their generation! In their short life, they’ve seen gay marriage become law, younger women at near pay parity, transgender rights as civil rights, marijuana becoming legal, terror/terrorist tactics as normal; climate change becoming destructive, and cultural evolution at breakneck speeds. Such drastic changes in one generation cannot be met with cautious solutions or incremental changes. Millennials dismiss calculated politicians that cautiously stay the course; mistrust executives that deny change; rant against business that ignores consumers; and march against cities that deny social justice. 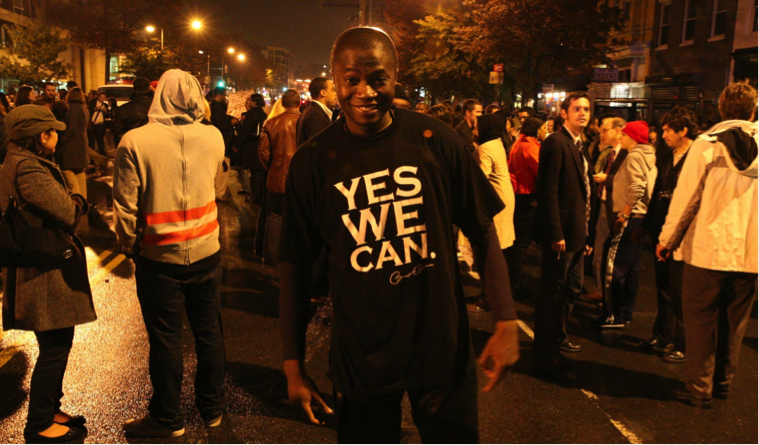 Black Lives Matter, Occupy Wall Street, and The Dreamers are movements infused with Millennial energy. 4 – Transparency (accountability) vs. Concealing (avoidance). Access to information and connectivity to networks are culprits here. They prefer openness to secrecy. The expectation of transparency rages big in this generation. They do not like games, are pragmatic and productive, expect access to information, resources, and networks, and will communicate across silos and hierarchies to impact change. They prefer cooperation to competition. They engage networks and cross-functional collaboration and abhor silos and cubicles. Transparency and accountability are paramount as a matter of pragmatics. Whatever works is right; rather than, whatever’s right works. They do not like roadblocks, or deny science or empirical evidence, and enjoy instant and regular feedback. 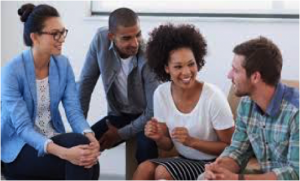 They readily reveal issues, share insecurities, or expect input and support that many seem or sound more like “therapy” than feedback. 5 – Future (purpose/urgency) vs. Past (improve/process). Remember, this generation was socialized in a connected world, experiencing history unfold during their lifetime. They lived through the fall of the Berlin Wall, Internet becoming public, 9/11, multiple global wars, the disruption of institutions such as media, music, communications, entertainment, commerce, politics, and government. In a nutshell, Millennials have access to more experiences and are more educated and empowered than any previous generation by age 20. They want to impact change and make a difference, not become a cog in an antiquated system. This generation doesn’t rely on institutions or knowledge created last century; they are moved by a larger purpose – a future that doesn’t yet exist. Profits and paychecks are not a purpose. More than 60 percent of millennials say they’d rather earn $40,000 per year at a job they love than $100,000 at one they hate. They will work for a company to impact change for a purpose. Embracing change and differences, they wonder why not rather than how to. They seek out vision and impact above warmed-over plans to improve the past. Electric cars, renewable energy, exploring Mars, resolving climate change, providing healthcare and education to all, extending equality to wages, justice, and diversity are all purpose-driven issues to be tackled, not aspirations to make them feel good. Managing millennials inside of “how to” will get you only so far; how to adheres to process that is short-lived and bound for disruption. Steve Jobs understood this as well (seen in this clip). The frame Why not, however, involves the unknown, a frame more closely associated with their worldview, as it involves context, courage, urgency, and purpose. These are core for a generation of change: They do not want to hear how it was they are interested in why it’s not. 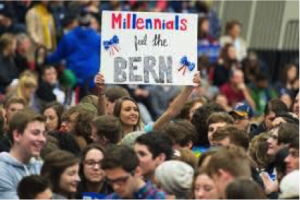 For Millennials How to must give way to Why not, which accounts for Millennial support for Bernie Sanders over Hillary Clinton. Sanders went bold (courage) and had the convictions (purpose) to stand for an urgent future not yet created. Hillary promised to tweak and improve (cautious) what we have – and has dozens of plans (past) to prove it. Ironically, Millennial pragmatism provoked them to transcend the practical to imagine big. Previous generations will often term Millennials naive, but evidence has proven them to be prescient. A future disconnected from the past often looks like a fantasy until it’s realized. Big change, transformation, means transcending old forms. A butterfly is not more or a better caterpillar. The problems we face cannot be resolved from the thinking that created them. Millennials see, feel, and sense this. For them, it’s visceral not “sensible.” This accounted for much of the gap they had with Clinton, labeled reductively by the media, as a trust gap. It is easy to explore this generation from a perspective of what’s wrong or missing from our (X or Boomer) worldviews. It might be more apt to accept that first, we need to change, to then understand what we have to stop doing. Our generations (X and Boomers) were not conditioned or socialized for the level of change we have and will endure. 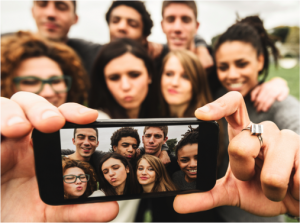 Millennials are just the beginning as we peer into the emerging worldview of Gen Z or iGen.